Below you will see all the activities the club is currently involved with, as well as other local monthly meeting contacts at the bottom of the page. If you want more infomation on any of the activities or meets please use the contact page, or to get in touch with specific members mentioned, their details are in the pasSPort document. You can find out how to get one on the pasSport page. If you have or know of a Daimler SP250 related activity or event you wish to have mentioned on the website please use the contact page to provide full details. 2019 sees the 60th Anniversary of the launch of the SP at the New York Motor Show and, will be celebrated in an appropriate fashion. Celebration Dinner in the evening at the St. John’s Hotel, Solihull. Speakers at the event are expected to include Quentin Willson, the well known writer and broadcaster who is also a SP250 owner. Use the contact page if you require up to date information, booking form etc. There may still be hotel room availability. Alternatively contact Glyn Overy. We hope to have the biggest SP250 gathering ever, exceeding the 200 cars that attended the 50th Anniversary rally at Gaydon. Please book in advance, use the contact page and a form will be sent or emailed to you. Run from Peebles to Solihull. Fully booked but reserve list started. Contact us to check if availability. A trip is being organised by Laurence Jones, the trip will include a day or two either side. Gregoire Thorel one of the organisers has now told us that a parade lap for SP250s to celebrate the 60th will take place at 12.35 pm on the Sunday. Use the contact page if you require further information or contact Laurence Jones. The Essex section of the SP250 owners club have been heavily involved with this charity event since its inception in 2012. They have formed the bulk of the organising, marshalling and judging teams. Over the last seven years in excess of £125,000 has been raised for Saint Francis Hospice. 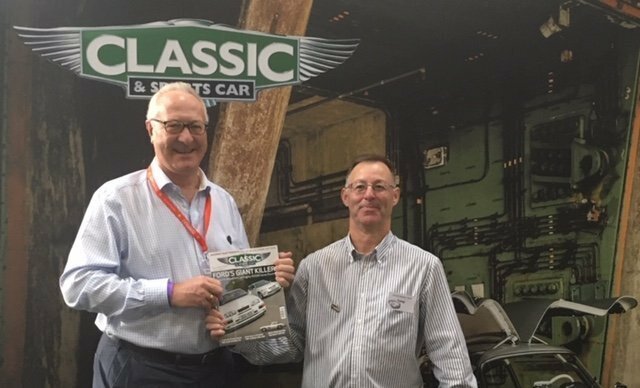 The team were delighted and somewhat surprised to receive a special commendation at the Classic and Sports Car Magazine Club awards at the NEC Classic Car Show in November 2018. This was in the ‘Contribution to Charity’ section. The judges commented that this was “a fantastic effort from such a small club”. The 2019 event is on Sunday 1st September at Ford’s Dunton Technical Centre. We would appreciate any offer of help for the event. Your attendance would also be appreciated. A get together for SP owners, wives and partners which has taken place for the last four years. The 2019 event has been booked for Friday 19th July to Sunday 22nd July 2019, thus cleverly avoiding Wimbledon finals day and more importantly Silverstone Classic Weekend. The weekend is based at a hotel just outside Norwich. We meet Friday lunchtime onwards with a group dinner in the evening. 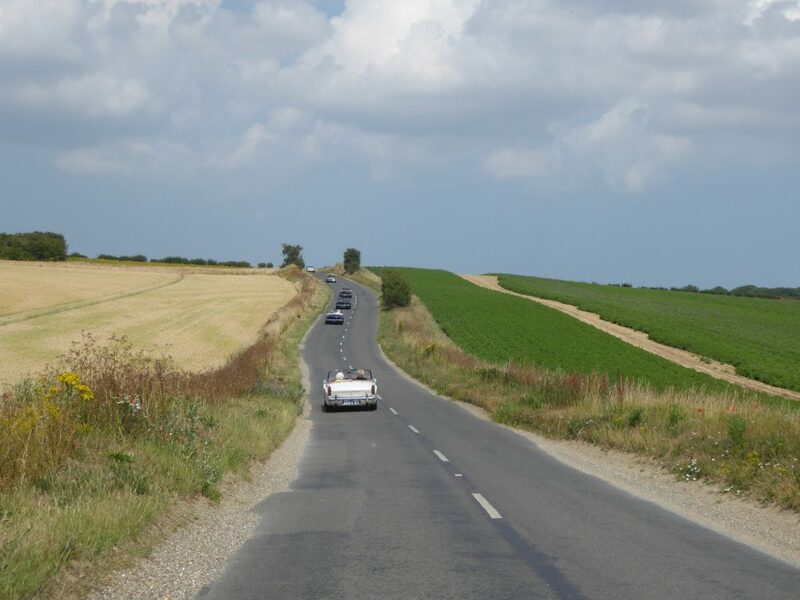 Saturday morning is taken up with a run around Norfolk with the route devised by Alan Mason and Tony Cartwright. A route book is provided with only simple navigation skills required. We stop for coffee and lunch. Thereafter participants are free for the afternoon before meeting up for dinner in the evening. On Sunday morning we depart the hotel and drive to the Suffolk coast for lunch at Thorpeness, from where we depart for the journey home. If any SP250 owner is interested enquiries can be made for room availability, owners are also welcome to join us for either the Saturday or Sunday runs. Subject to availability it may also be possible to arrange extra seats for the dinners or Sunday lunch. This is a very informal and friendly weekend. Use the contact page if you require further information or contact Stewart Amos. There is a regular SP250 presence and stand at the major NEC classic car show. We go out of our way to welcome not only current owners but anybody who has an interest in SP250s. We know from comments received that those attending are pleasantly surprised by the friendly welcome they receive on our stand. We strive to ensure that everybody who comes on the stand is greeted, and if they wish we are always more than happy to discuss the cars and answer questions. The 2018 show was an outstanding success for us and we are already looking forward to the 2019 show which runs from Friday 8th November to Sunday 10th November. We look forward to seeing you there. If any SP250 wishes to help on the stand, please use the contact page if you require further information or contact Laurence Jones. The club are also regularly represented at this show, which in 2019 takes place which takes place from 22nd – 24th March. The proposal is for a two car stand, one car fully restored and the second a ‘running restoration’. Please use the contact page if you require further information or contact Laurence Jones. These can vary from monthly meetings to informal, ad hoc get togethers. Contact details for the above are all in pasSPort, or please use our contact page.